Maurizio Sarri says Willian will not be allowed to leave Chelsea in January following reports Barcelona are ready to reignite their interest in the player. Barcelona tried to sign Willian last summer, making three bids for the Brazil international, with their final offer worth more than £55m rejected in July. 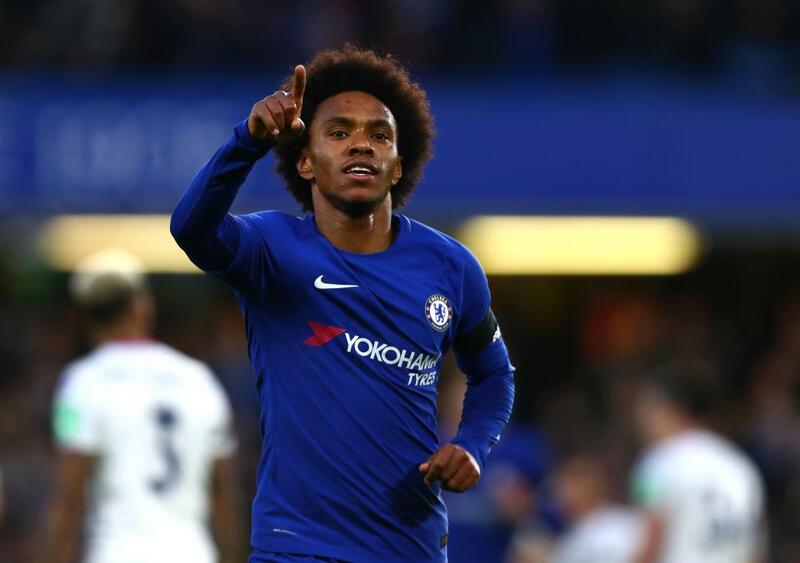 According to Sky Sports, Barcelona have proposed a deal that would see William depart for the Nou Camp with Malcolm coming the other way,but Sarri says it is “impossible” for Willian to leave Stamford Bridge this month. Asked about Barcelona’s reported interest in Willian, Sarri said: “I didn’t receive anything yesterday. I have no idea. “You have to contact the club and ask about the market, because if you ask me about the market, you put me in trouble because I don’t know how to answer. As you know, Willian for us is very important. One player who seems set to leave Chelsea this month is midfielder Cesc Fabregas, whose proposed move to Monaco is on hold until Chelsea can bring in a replacement.